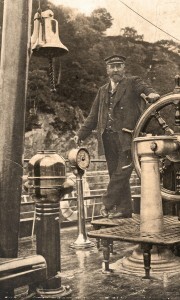 At Loch Katrine (April 1900) a very neat and comfortable little steamer will be found in readiness to start on its progress up the loch, and this part of the journey occupies one hour. On reaching the west end of Stronachlacher (or Coalbarns, as it is sometimes called) there is a small pier with an annoying charge of a few pence each; but this is now the only remnant of black mail levied on tourists, which probably would not be grudged were it not for the impediment its payment throws in the way of securing a good outside seat on the coaches that are here again required to convey passengers to Inversnaid on Loch Lomond”. When Adam and Charles Black published their famous “Guide to The Trossachs” in Edinburgh some 150 years ago – back in 1864, they were no doubt hoping that at some point the hospitality offered to visitors arriving in the area would be free of irritations such as the fee charged for using the pier on arrival at Stronachlachar! 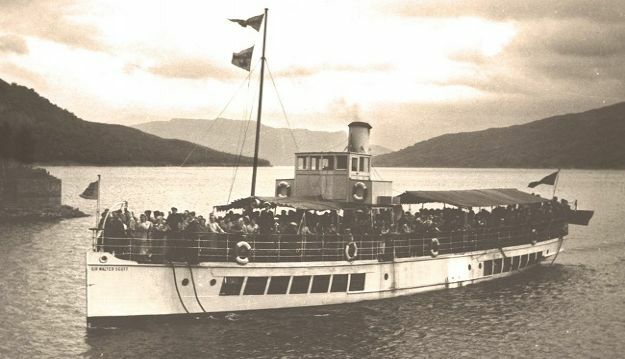 After all, they had already warned travellers that the journey from Callander to Loch Katrine would take one and a half hours, due to the “badness of the road”. Clearly those intrepid tourists who were the first to discover the charms of the area were fairly determined, and weren’t discouraged by such hazards! 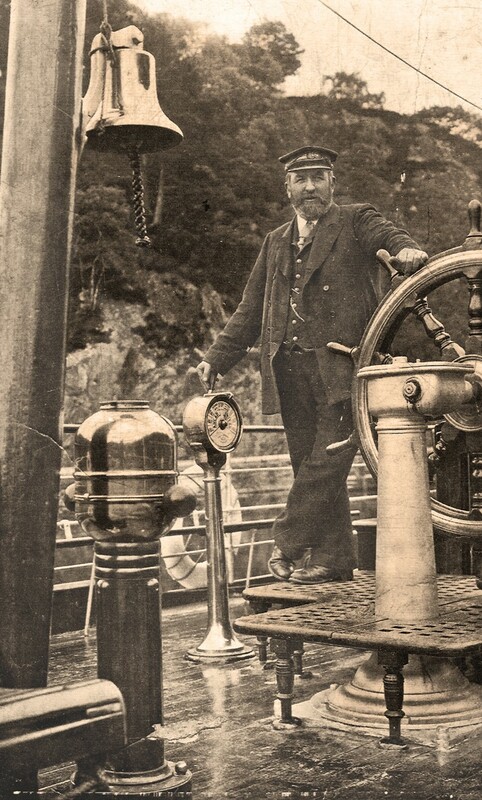 Thankfully much has changed since the Victorian period, but there is one legacy remaining from the era which saw The Trossachs firmly placed on the tourist map, and it is one with an enduring popularity – the classic journey on the veteran steamship Sir Walter Scott. 115 years since it entered service in April 1900, the Sir Walter Scott maintains the special atmosphere of a Victorian pleasure steamer, but now combined with totally up-to-date facilities and services, including comfortable lounges with panoramic views which allow passengers to relax and admire the landscapes of the country’s first national park.